Charter Bus St. Petersburg, FL. When you want a charter bus rental in St Petersburg, FL, look no further. Search the biggest fleet of motor-coaches, minibuses, shuttles & sprinters in St Petersburg. Regardless of what you require charter buses for, our booking platform will help you find an affordable ride for your party. From school field trips to fraternity dances, our coaches provide the best solution for moving substantially sized groups! 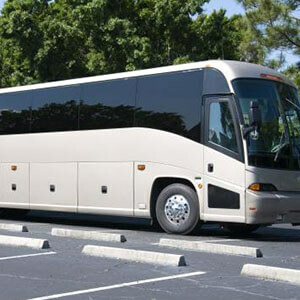 This selection of St Petersburg charter buses encompasses a bunch of styles with seating capacities that will accommodate you and your company. Allow a local driver pick you up and start the tour! Call us now to get a free quote, or reserve here and take advantage of our most affordable bus charter prices! We provide chauffeured service for shuttle buses to the airports any time you need it, door-to-door service, and complimentary refreshments for you and your party no matter what the size, and free baggage service. We even track your flight information to make sure you arrive to your gate and flight on time! 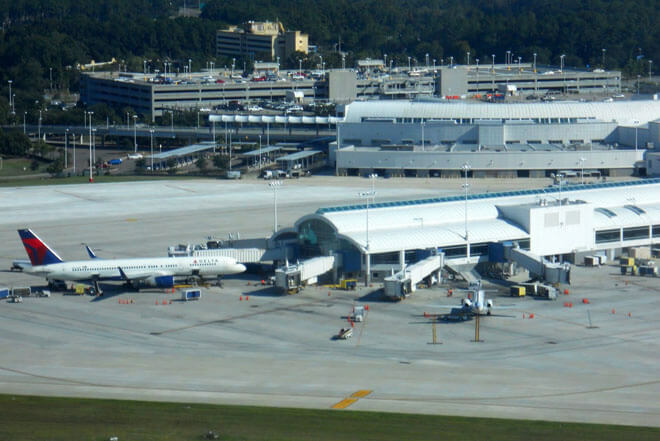 If you need a car ride or shuttle bus service to Tampa International Airport (TPA) or even a smaller one, like the local Albert Whitted Airport – you can expect Top notch courtesy drivers whose sole mission is to provide excellent service, insure your safety, and give you the most impressive experience traveling back and forth to airports and beyond – all at one fixed nominal flat rate. We can also provide seaport transfers in the port of Tampa so you can get to your cruise line in style. 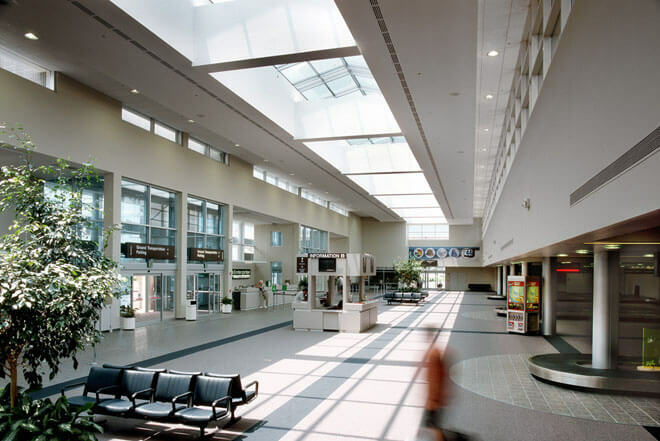 St Petersburg Airport Charter Buses in Clearwater, Pinellas County Florida offers the Tampa Bay area cheap airport shuttle bus service to St Petersburg-Clearwater International Airport (PIE) every day of the week, year round – Thanksgiving and Christmas. We serve the greater Tampa Bay area 365 days of the year. With affordable VIP charter buses, cruise line transfers, and luxury ground transportation we offer you cheap rides to the airport, hotel, or any destination in Pinellas County or throughout the greater metro area. So whether you are in town for one night cause of a layover, want to dress to impress and party all night, are on a business trip, celebrating the first year of your retirement, or organizing a Sweet 16 – we only want you to have a good time without having to worry about traffic, and gas, and parking and how you will get back home or to the hotel whether it's the Renaissance or Sandpearl Resort. St. Petersburg Airport Shuttle Buses in Clearwater, Pinellas County near the Tampa Bay will give you VIP service to any destination, at any time – even cheap car or bus rides to local and regional airports but our high-end treatment with low-end prices doesn't stop there. We offer cheap rides to airports, but always deliver elite and respectful service to our clients. We're dollar cheap and service rich! Our chauffeurs are all excellent drivers, many of which are bi-lingual, and work with our in-house mechanics to make sure we are giving maximum service. All of our VIP charter buses and luxury vehicles are quality tested and meet safety standards. Your driver-for-hire will not only offer Sign Service at the airports baggage claim with your name on it, but will do everything in his power to be positive that you are receiving the top quality care and driving that you deserve. Leather seating, privacy dividers in our exclusive cars, HDTV's and surround sound stereos and fully equipped bathrooms on our coach buses – why pay for an overpriced cab or parking when you can get exclusive black car or airport shuttle bus service like this? 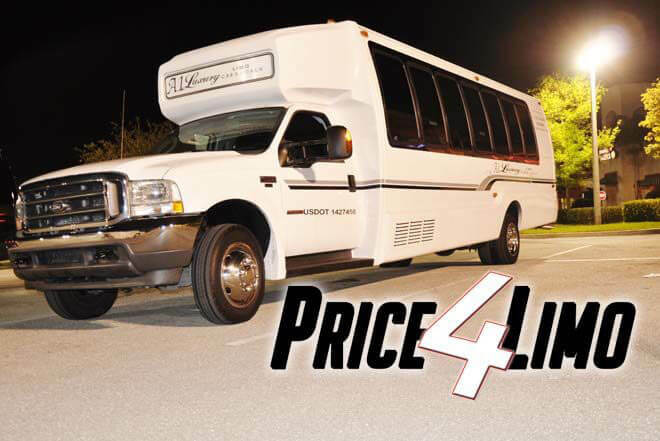 Price4 Limos St. Petersburg Airport Shuttle Bus Service and Limo Rentals will get you and your guests back home safely. Our exclusive shuttle Bus and limo service includes door-to-door service and complimentary baggage help and refreshments. Perfect for any season or event – maybe you're in town for one last hurrah before the big wedding and need a fleet of limos or buses for that bachelor party or bachelorette party and want to get top dollar service for a low fee, or maybe you just want to an Activity Bus for the weekend as you decide to make your way to all of the amusement parks in the surrounding areas – be it Busch Gardens, the Grand Prix Tampa, or The Pier at St Petersburg – St Petersburg Airport Shuttle Bus Service will get you there and back and make sure you are always on schedule for that trip back to the airport so you can make your flight. Don't waste time, money and energy with the madness of Pinellas County traffic. Please don't use overpriced cab companies and allow us give you the most affordable limousine and party bus service that Florida has to offer! Fill in your event travel info now. Let us know your personal requests and business transportation needs when your reservation agent contacts you. 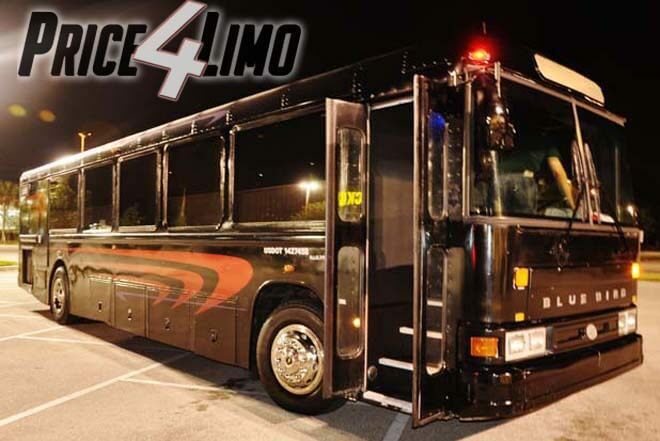 Get an airport shuttle bus or limo quote instantly on Price4Limo-best place to book your limousine service or St. Petersburg Airport Shuttle Bus rental in Clearwater, Pinellas County Florida.